MAG Subscriptions. Gastrointestinal Nursing Journal - Sale! The Sale is now on! You can save up to £24 on your subscription - order now with code GIN19D. Gastrointestinal Nursing (GIN) is a peer-reviewed journal to covering all aspects of gastroenterology and stoma care. 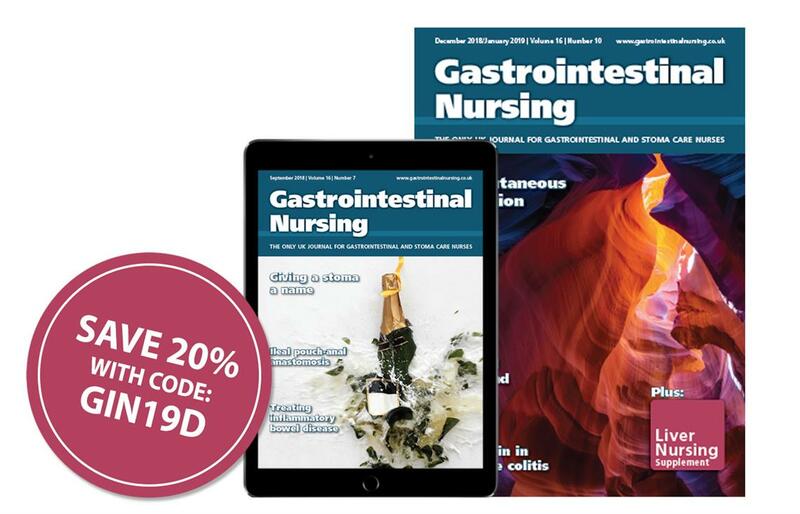 Published 10 times a year, the journal is essential reading for all nurses specialising in gastrointestinal care who wish to provide the best possible care for their patients. It publishes a wide range of evidence-based clinical and practical features, providing essential information for your practice and your personal development. To claim your 20% discount, simply select your subscription option below, and quote code GIN19D when prompted.